Photometrix was started in 2007 as a spin-out of the University of Glamorgan. The company primarily design and manufacture non-contact 3D measurement hardware and software which is based on the principle of stereo-photogrammetry. 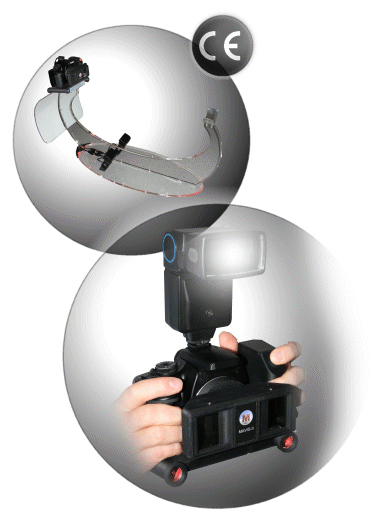 The combination of uniquely developed hardware and software provides an inexpensive and effective non-contact means to capture, analyse and distribute 3-D digital images for applications in medicine, surveying, engineering, computer gaming and many more. As with most companies developing electronic products, Photometrix were obliged to meet the requirements of the EMC and LVD Directives, which in turn required specialist testing and assessment to meet the Medical Standards for both Europe and America. Working with Photometrix, Gainspeed were able to initially advise on relevant standards and work with the company to develop the required test planning, followed by EMC and LVD testing in their accredited Test Centre. During this process, Gainspeed’s engineers were able to advise and assist with any minor performance issues and recommend appropriate design changes. Gainspeed was able to provide a comprehensive package of services to us that was tailored exactly to our requirements. Effective and pro-active communication by Gainspeed allowed our development team to progress through the product finalisation process quickly in order to achieve full product compliance.